Canterbury is synonymous with the history of Christianity in Britain. It was here that the first missionaries from Rome established a church in the sixth century and it has been a place of worship since then. 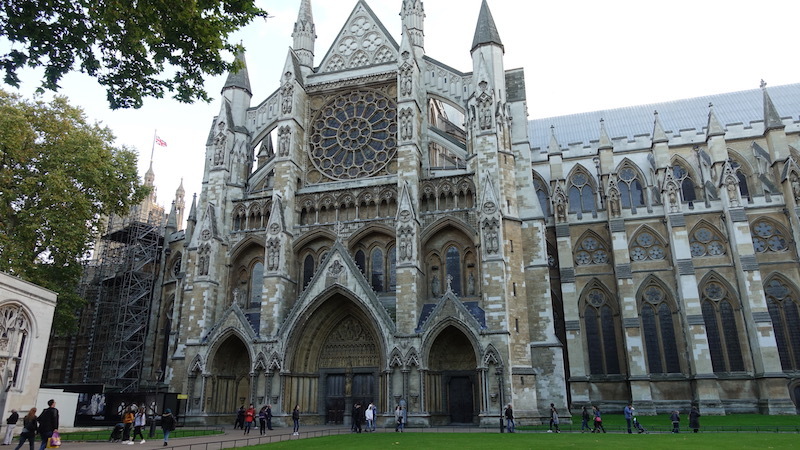 The present cathedral is a magnificent building that was built by the Normans in 1070, only a few years after their invasion of England. The throng of pilgrims visiting the cathedral stimulated the growth of a lively town around it. Inns, taverns, shops and other establishments to feed, house and entertain the visitors sprouted up over the years. Much of the mediaeval plan of the town is still preserved, giving you an idea of what it must have looked like centuries ago. Of course, there is no shortage of travellers going to Canterbury in modern times either. 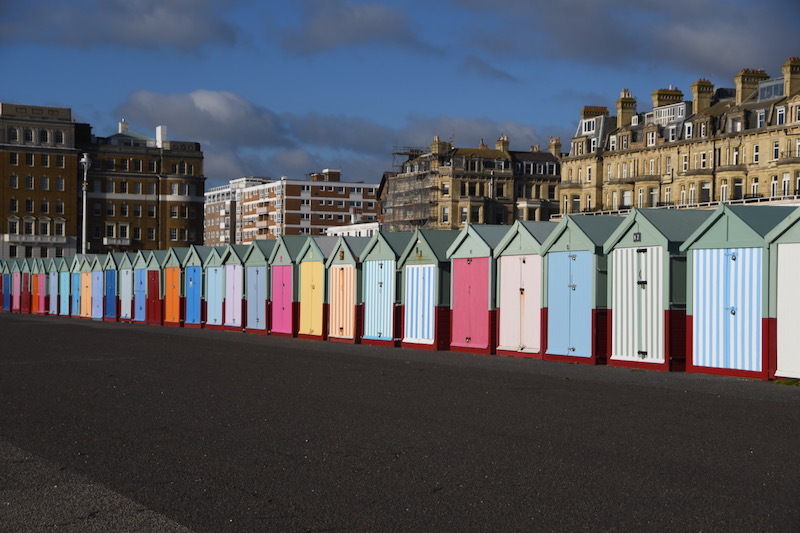 It is one of the most popular tourist destinations in Britain and every year receives millions of visitors, some brought by religious devotion and others simply by their love of English history and culture. 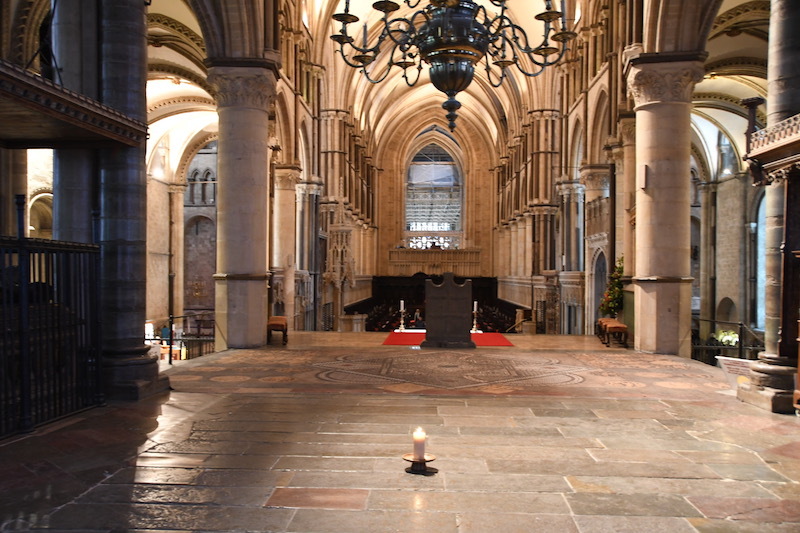 The first place where visitors to Canterbury go is, of course, the cathedral. Under the soaring arches of this church you can feel the presence of ancient kings and queens who prayed in front of its altar, and were crowned, wed and buried within its walls. The most famous name associated with the cathedral is perhaps that of Thomas Becket, archbishop of Canterbury in the twelfth century, first a close friend and then a bitter opponent of King Henry II. When the king cried out in frustration "Who will rid me of this turbulent priest! ", four of his knights murdered Thomas Becket as he prayed in a chapel, which became a famous pilgrimage site. There is now a monument to his martyrdom in the cathedral and a candle is kept burning at the place that he fell. A visit to Canterbury should always include enough time to see the lovely town as well. 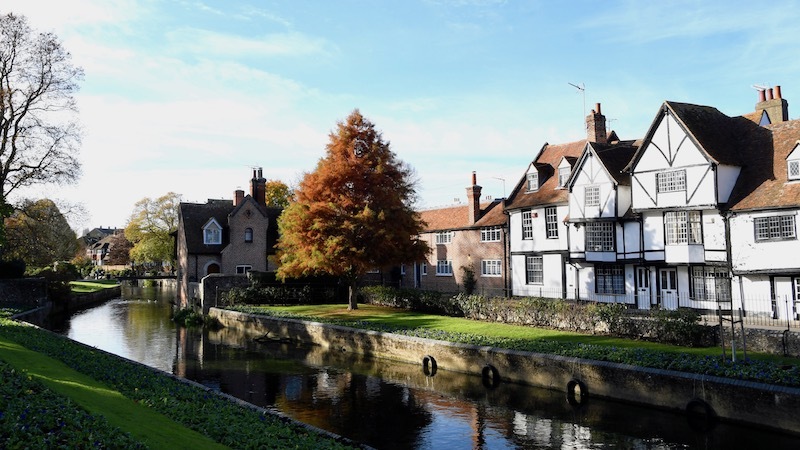 On your way to the cathedral, you will see the River Stour cutting a swath through town, affording many a picturesque spot from which to take that perfect photograph. The Old Weaver's House, built on the banks of the River Stour is a historic building dating back to the 14th century. Flemish and Huguenot weavers fleeing persecution, settled here to practice their trade, creating a flourishing textile market in Canterbury. Canterbury also has a memorial to its most famous chronicler, Chaucer. 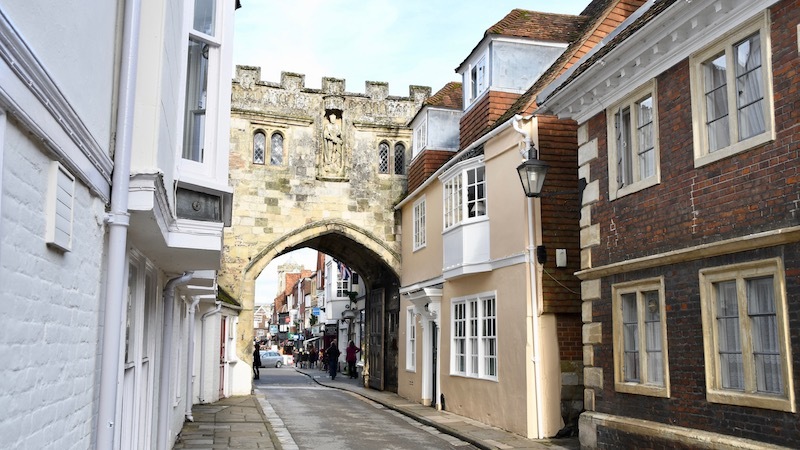 Pack along a copy of the "Canterbury Tales", for there is no better time to read its rollicking stories, ranging from the sublime to the frankly bawdy, than a trip to the town that inspired the original book. Narrow cobbled streets flanked by half timbered medieval buildings converge upon a small 800 year old market square called the Buttermarket. Formerly known as the Bullstake, this is where bulls were tied to a stake overnight, to be harassed by dogs in the belief that this would make their meat tender. Thankfully, this barbaric practice ended a few centuries ago and the stake has now been replaced with a war memorial. The Old Buttermarket pub in the square is a great place to stop by for a bite to eat. Their delicious food comes with a side of history! 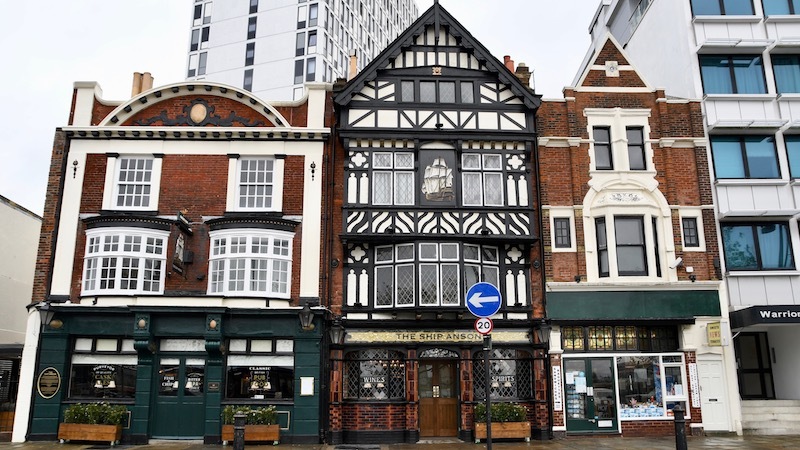 A pub has stood on this site for over five hundred years, connected to the cathedral by underground tunnels that were often frequented by escaping monks. One of our favourite pub breakfasts while traveling in England, was this delicious masala omelette, served British-Indian style with a dollop of tomato ketchup. It brought back memories of home! A fluffy omelette with the freshness of herbs and veggies, carrying just a hint of spicy curry, is a great way to start or end your day. Sprinkle some crumbled feta cheese over top while the omelette is cooking, add a few pieces of warm naan and you have the makings of a perfect meal! If you're looking for something more classic (and less spicy! ), check out my French style omelette here. Beat eggs with milk or water in medium mixing bowl until lighter in colour, about 2 min. Add in all the remaining ingredients except for the butter. Mix well. Warm 1 tbsp butter in a large non stick frying pan over medium heat. Pour egg mixture into pan. Tip pan in a circular motion to distribute egg and vegetables evenly in the pan. Cover, reduce heat to low and cook until eggs are set, about 3-4 min. Uncover, fold omelette in half and transfer to a plate. Serve right away. Walking through Portsmouth was a strange experience for me, for even though it was my first visit I felt as if I'd been here many times before. This historic city holds a deep personal connection, forged long before I was born, for I had grown up hearing so much about it from my parents. Soon after my parents were married in 1951, my dad (an officer in the Indian Navy) was posted near Portsmouth for two years. They sailed out from Bombay aboard HMS Cilicia, a long voyage filled with excitement and anticipation for the adventures that lay ahead. Their stay here was full of wonderful discoveries of a new culture, new sights, new foods and new friends, which they have always remembered very fondly. 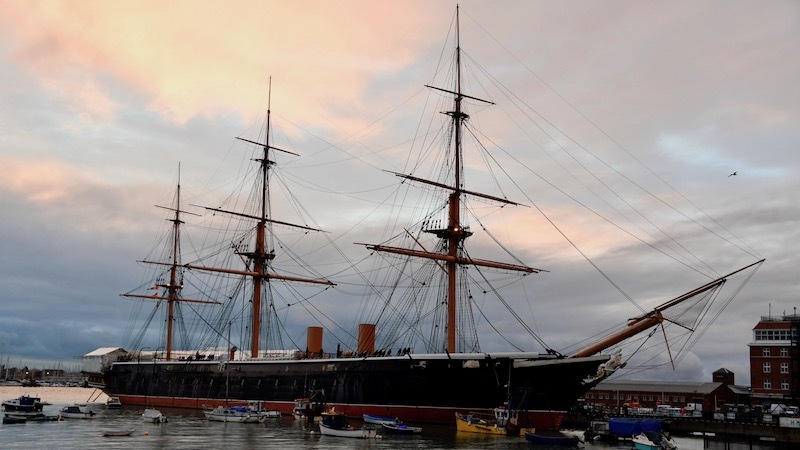 Seeing old photographs and hearing their stories has always made me want to visit Portsmouth too and follow their footsteps for a little while. Portsmouth certainly lived up to the image I had painted in my mind. We started off by exploring its historic Royal Naval Dockyard which is now a museum devoted to Britain's maritime past. There you can see ships dating back centuries and understand how closely Britain's history and economy were tied to the sea. 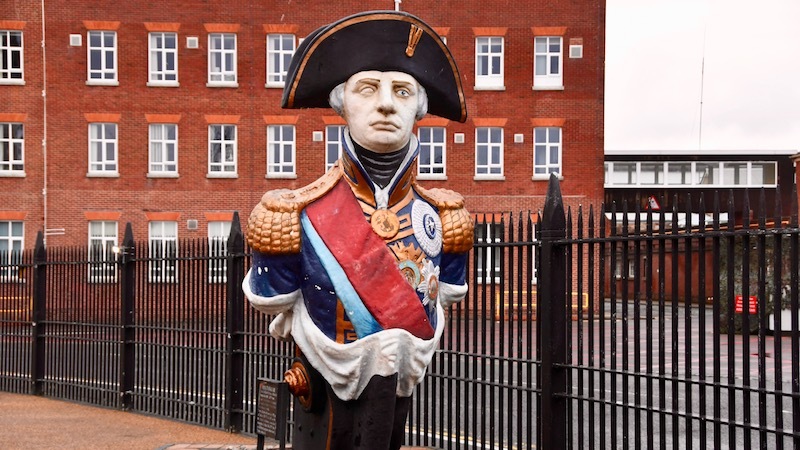 The most famous exhibit is the Victory, Nelson's flagship at the battle of Trafalgar, which was key in defeating the French and making Britain the greatest power in the world during the nineteenth century. It is fascinating to walk through the ship and see the cabins where Nelson planned his battles and the gun decks where cannons roared. 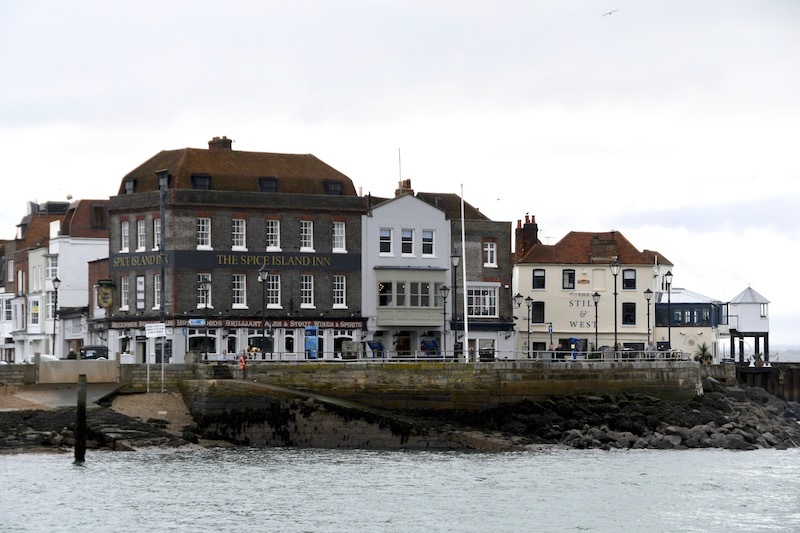 Surrounding the dockyard are old inns that have stood there for centuries and housed generations of sailors. Names such as "The Spice Island Inn" recall the times when these docks were piled high with products from around the world, including pepper and cardamom from India and nutmeg, mace and cloves from the Indonesian islands. The streets are lined with lovely old pubs, so full of character that you have a strong urge to shout "Yo ho ho and a bottle of rum"! Pubs have been operating on the street leading into the dockyards since the 1600s, with The Ship Anson very popular these days. 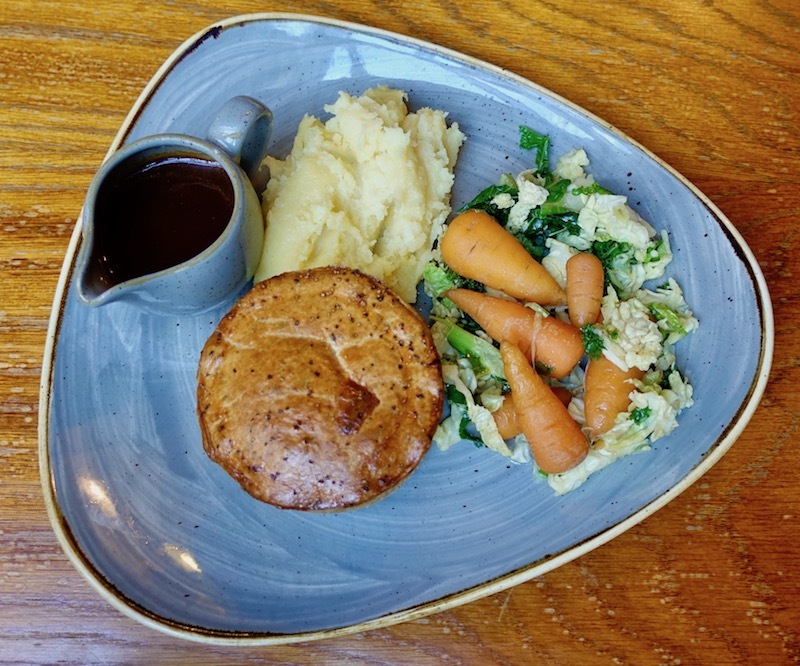 A delightfully cosy pub, it features award winning pies on the menu, which we thoroughly enjoyed. 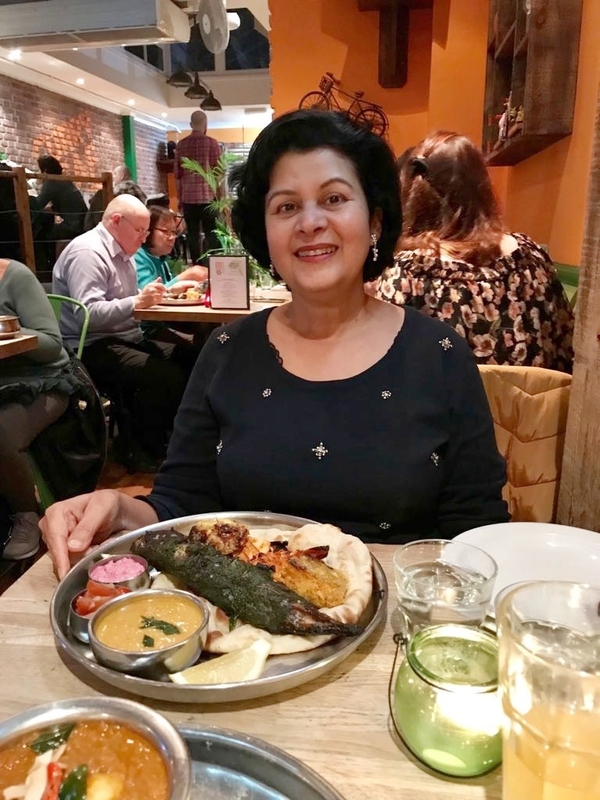 During our travels in England, we also came across lamb Rogan Josh pies in many pubs, reminding us how creatively Indian cuisine has transcended the two cultures. One of the most popular dishes of Indian cuisine and the mainstay of Indian restaurants the world over, Lamb Rogan Josh is richly flavoured and easy to make (don't let the long list of ingredients fool you!). It tastes even better the next day so you can make it ahead and relax while the flavours do the work. And if you want to transform leftovers into a delicious pie, well...we might just come over! Warm oil in deep, heavy skillet or saucepan set over medium heat. Add whole cardamom, cloves, cinnamon, mace (if using) and star anise. Sizzle for 30 sec, then add onions, garlic and ginger. Saute for 5 min until lightly browned and slightly softened. Add lamb, salt to taste, all of the ground spices and saffron. Brown for 5 min. Add tomato puree and yogurt. Stir for 5 min until the liquid has been absorbed by the lamb. Add 1 cup of water and the ground almonds. Mix well, cover and bring to a gentle boil. Reduce heat to low and cook for 1 hour, stirring occasionally. If the sauce is starting to stick to the bottom of the pan, add another 1/2 cup of water. Cover and cook again on low heat for another hour, stirring occasionally. The lamb should be very tender and the sauce thickened. Fold in the fresh coriander leaves and lemon juice. Stonehenge is a place of deep mystery. The people who erected these massive pillars of rock some 5000 years ago left incontrovertible proof of their presence, but no other clues about who they were, why they built this monument, or even how they managed to transport and raise these enormous stones. 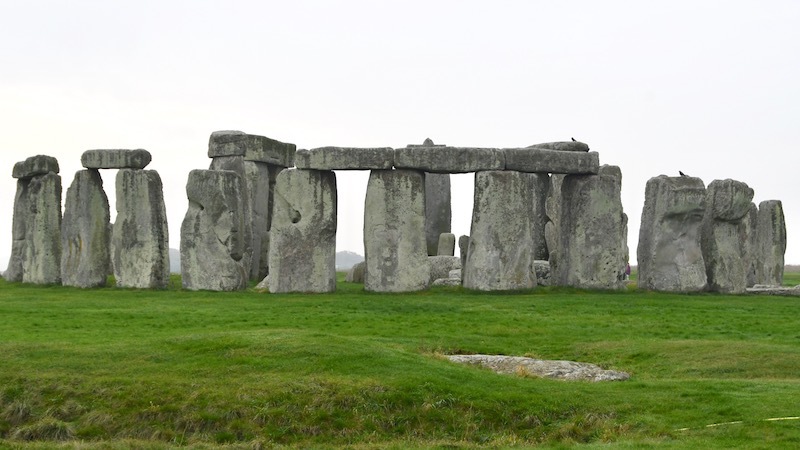 We can only speculate about the origins and purposes of the Stonehenge circle, but it is clear that this is an area that has been considered sacred for millennia. The earliest signs of human habitation around it date back at least 10,000 years, and remains of Neolithic, Celtic and Roman settlements have all been uncovered in the same area. Close to Stonehenge is the fortress of Old Sarum, which was a fort in Roman times that changed hands as new waves of Saxons and Vikings swept across England. Under Norman rule a great new fortress and cathedral were erected, and the town became a centre for trade. 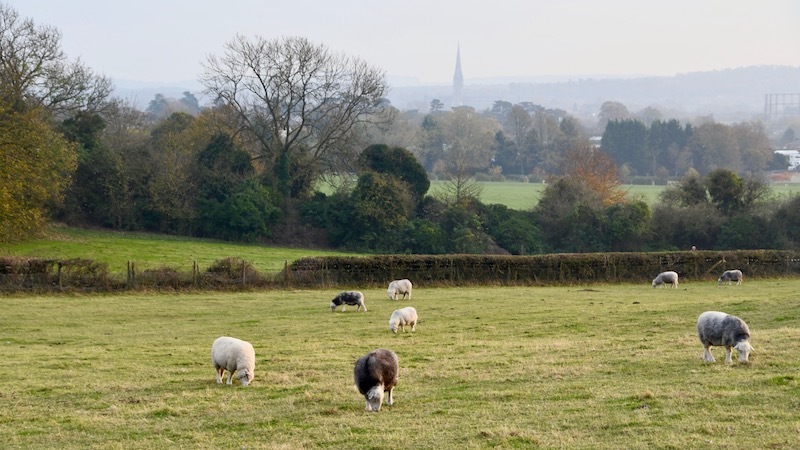 By the 13th century nearby Salisbury overtook Old Sarum in importance as a market town and the magnificent new Salisbury cathedral attracted crowds of pilgrims. Gradually the older castle and cathedral were abandoned and their stones removed to be used for rebuilding elsewhere, leaving only the ruined walls and foundations that we see today. Salisbury cathedral is still a spectacular sight, its enormous spire visible from miles around. The western facade glows gold when it is bathed by a setting sun, a sight that has inspired many paintings and photographs. The interior of the cathedral holds the oldest working clock in the world, and you can see its mechanism on display. It also holds one of the last surviving copies of the Magna Carta. Salisbury can easily be explored on foot. The area within the ancient cathedral walls, known as The Close is a lovely place to start once you've visited the cathedral. This broad, green, tree lined expanse is surrounded by stately homes, some of which date back to medieval times when local clergy lived here. Some have now been turned into interesting museums well worth visiting. Narrow cobbled streets lead out of The Close straight to the city centre where you will find lots of great shopping and food as well as an open air market in the town's central square. 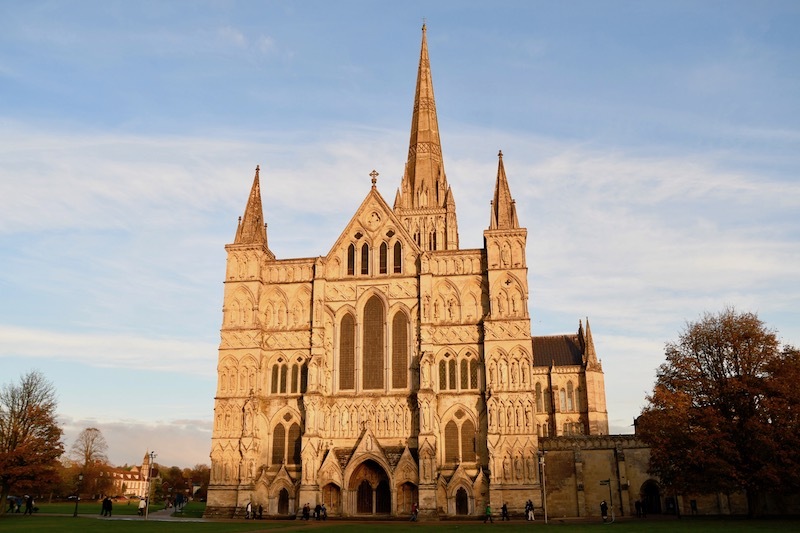 Salisbury has been a popular market town ever since it's inception in the 13th century, attracting merchants and traders from surrounding areas. 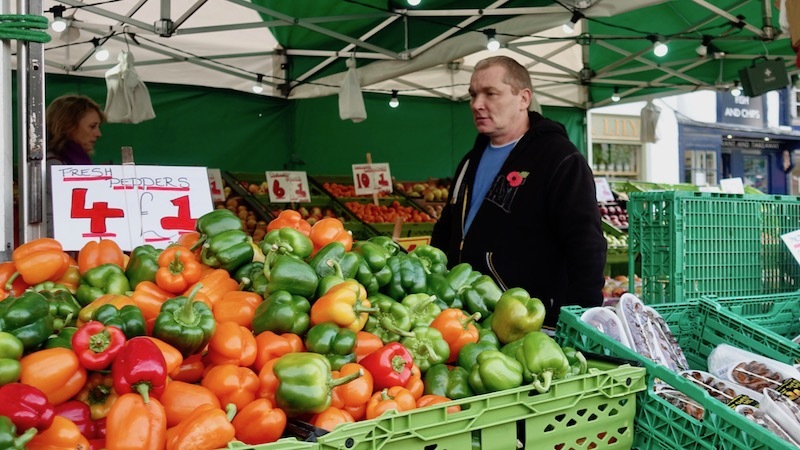 In 1361 it was decreed that the market would be held every Tuesday and saturday, a tradition that continues to this day. 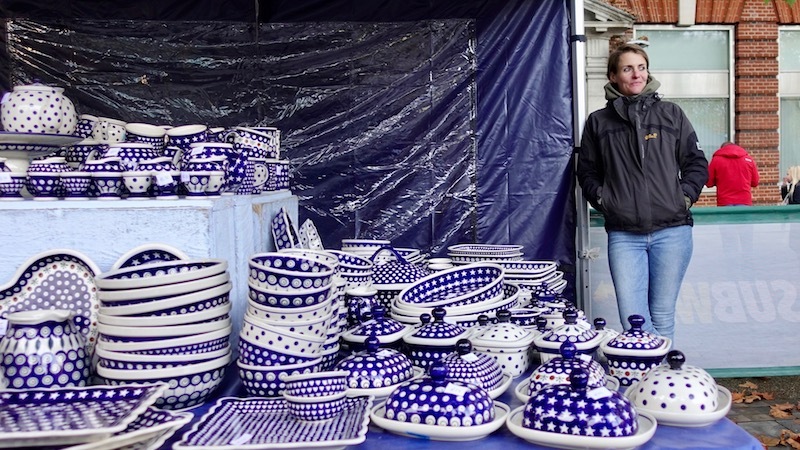 This bustling market is one of the highlights of visiting Salisbury. Here you will find fresh produce as well as preserves, housewares and even a whole roasted pig (should you want one!). 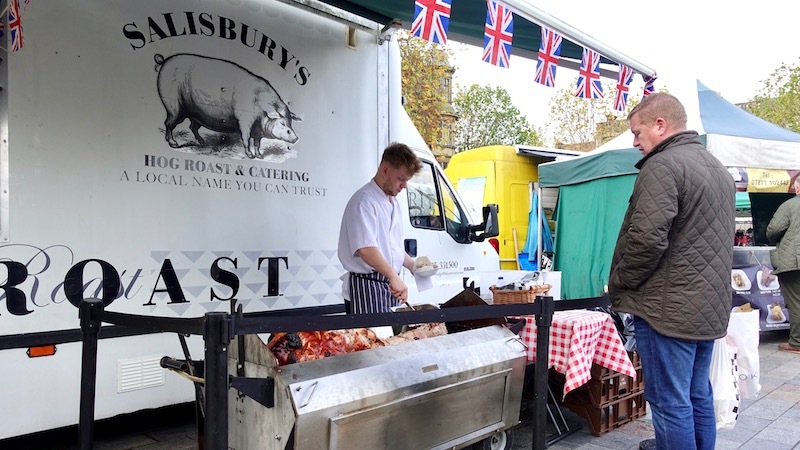 There is a fun, relaxed atmosphere here with street food stalls and picnic tables in the sun. And if you want a quiet moment away from it all, follow the picturesque River Avon as it meanders its way through town and find a shady spot along its banks. 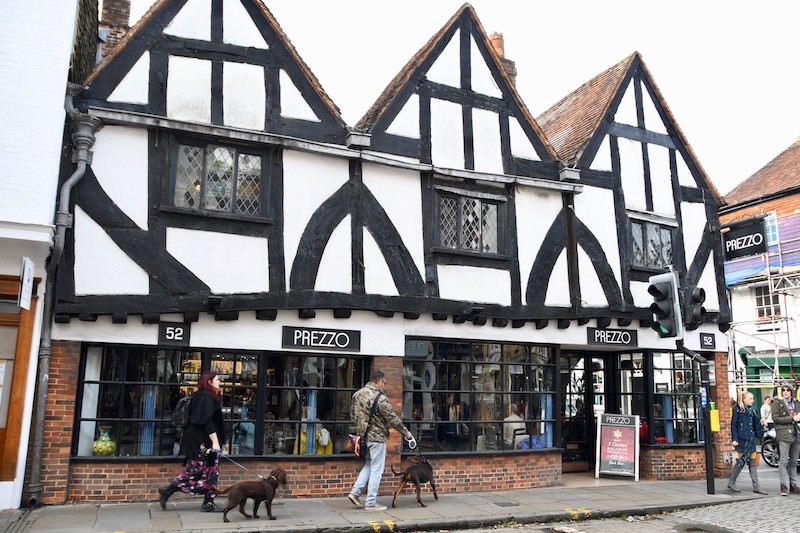 Salisbury's historic pubs have a medieval charm, reflecting a heritage spanning centuries. Walk into any of them and you will feel like you have stepped back in time. Our favourite, the Haunch Of Venison, dating back 700 years, still has the original oak beams, wood panelling and antique furniture, along with a fantastic menu centred around venison. 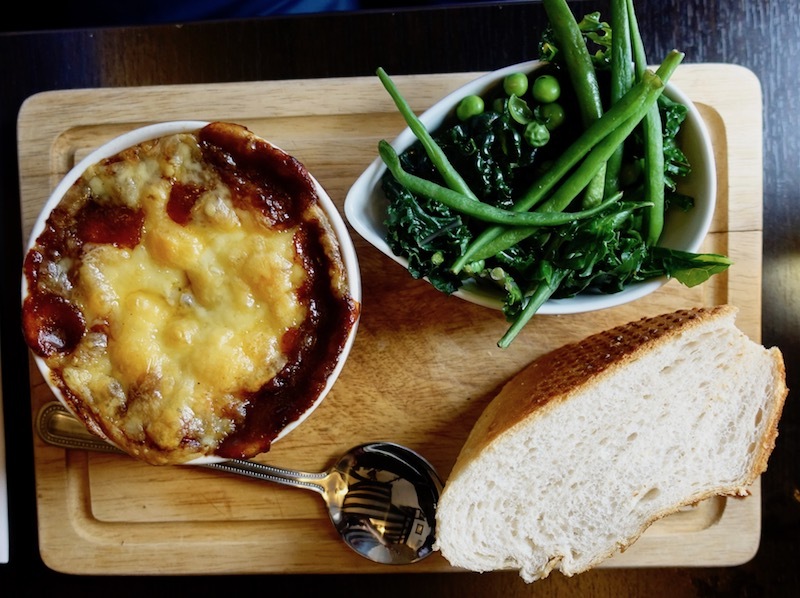 Their venison shepherd's pie was a revelation! The Chapter House, was a stone cutting place 800 years ago when the famed cathedral was being built. Now a popular pub with 'quirky', comfortable rooms above, it is a wonderful place to base yourself while exploring the area around. The food here is exceptional too, try their classic sticky toffee pudding - so good, you'll want more after every meal! This might be the easiest, tastiest, softest cake you will ever make. The dates and brown sugar add rich flavour and a lovely colour, while the sticky sauce topping will have you licking your fingers! For more of great British baking, try Scones! Combine dates and boiling water in small bowl. Allow to soften for 15 min to half an hour. Drain dates, reserving 1/2 cup of soaking water. Meanwhile, preheat oven to 350F. Grease a 9 inch square baking pan (if that is unavailable, use an 8 inch square pan). Combine flour, sugar, baking powder, baking soda, ground ginger and salt in large mixing bowl. 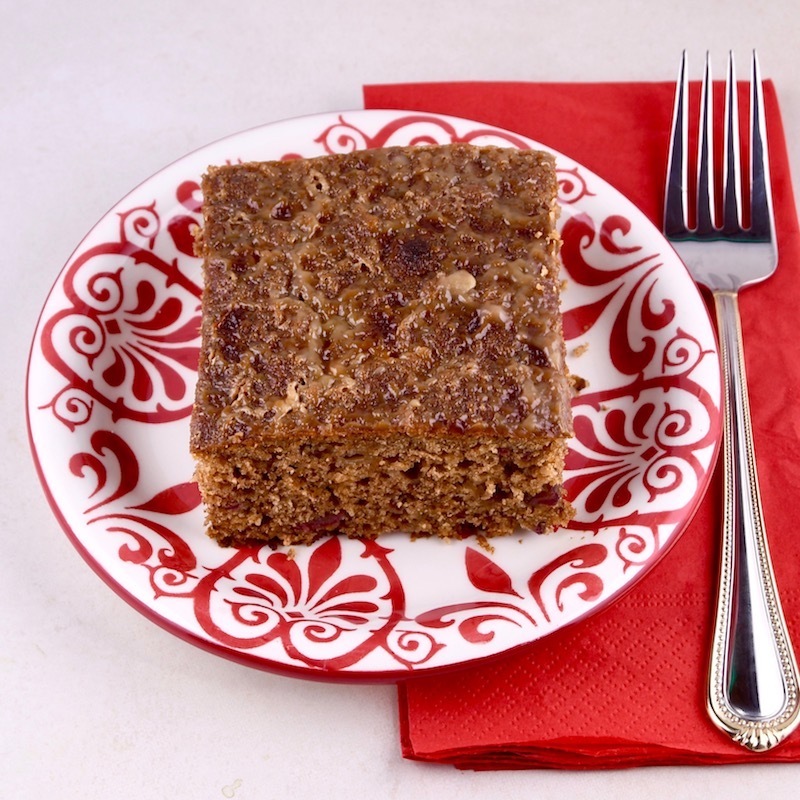 In a blender or food processor, combine soaked dates, 1/2 cup soaking water, butter, eggs and vanilla. Blend till almost smooth. Combine date mixture with flour mixture, folding it in gently until just combined. Do not over mix. Transfer to prepared baking pan and bake for 25-30 min until cake is cooked through and springy to the touch. Meanwhile, prepare the sticky sauce - combine butter, sugar and cream in small saucepan set over medium heat. Stir continuously until smooth and bubbling gently, about 2 min. Spoon half of the sticky sauce all over top of cake. Reserve remainder of the sauce for serving later with cake. Place cake under broiler for 1 min for top to caramelize and become sticky. Cool 10 min, then slice and serve with reserved sticky sauce and whipped cream or ice cream. "Oh, who can ever be tired of Bath?" wrote Jane Austen, and having recently spent three days visiting that lovely town we would have to say - not us! 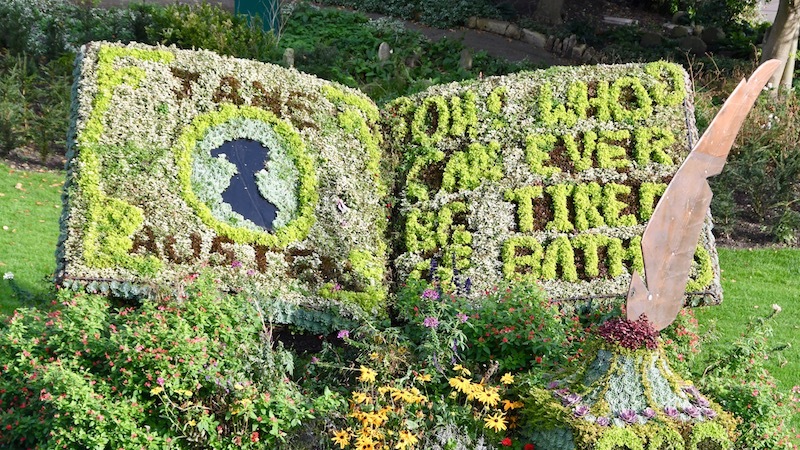 Jane lived in Bath for five years and featured it in many of her novels, making it a favourite pilgrimage site for her many fans. You come across little reminders of Jane Austen where ever you walk in Bath, her favourite parks, the home where she lived, the Assembly Rooms and Pump Rooms where she socialized. It is easy to imagine what it must have been like in her time for it seems little has changed in Bath over the years. 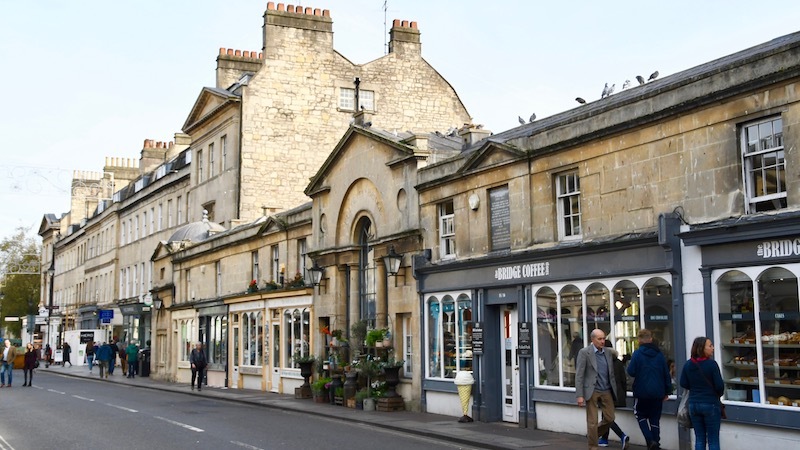 Built upon layers of history, Bath was an important tourist destination long before Jane Austen got here. 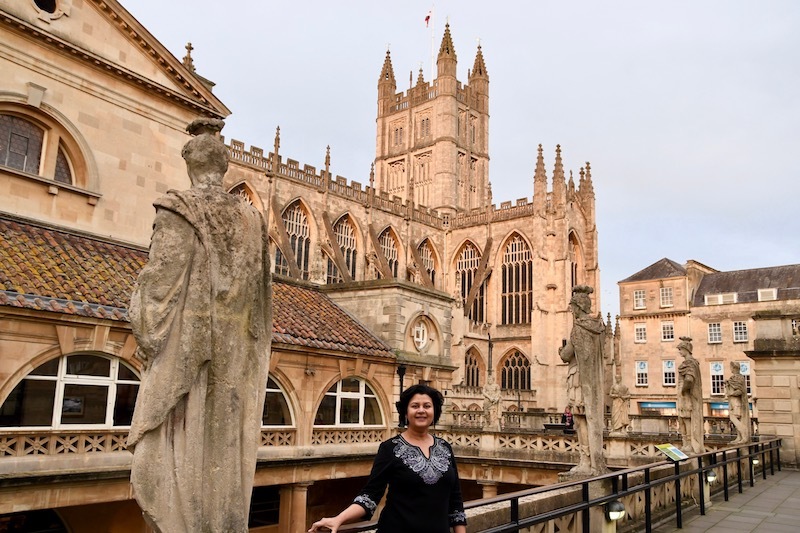 The Romans loved the natural hot springs, thought to have medicinal properties, and built a magnificent bath complex and temple to the goddess Sulis-Minerva. 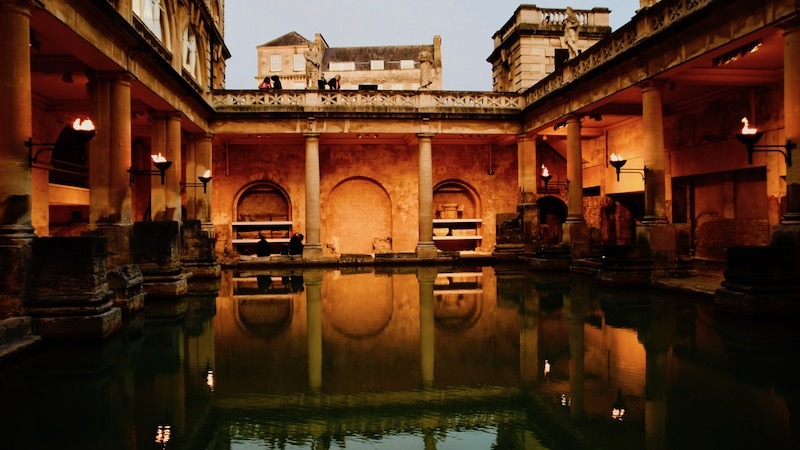 Known as the best preserved and oldest Roman spa in the world, this complex and museum is fascinating to visit. Time your visit for late afternoon when the crowds have thinned out and flaming torches are lit around the central Great Bath - it is an unforgettable sight! Adjacent to the Roman Baths is Bath Abbey, a functioning parish church and former monastery founded in the 7th century. Remodelled in the 1820s with flying buttresses, pinnacles, fan vaulted ceilings and stained glass windows, it is an oasis of calm and serenity. As you walk around soaking it all in, pause to read some of the tomb stones and plaques, poignant epitaphs to the lives of people buried here many centuries ago. Bath's elegant Georgian buildings, constructed with local Bath stone, glow a rich honey gold in the sun as you walk through its lively streets lined with shops and restaurants. 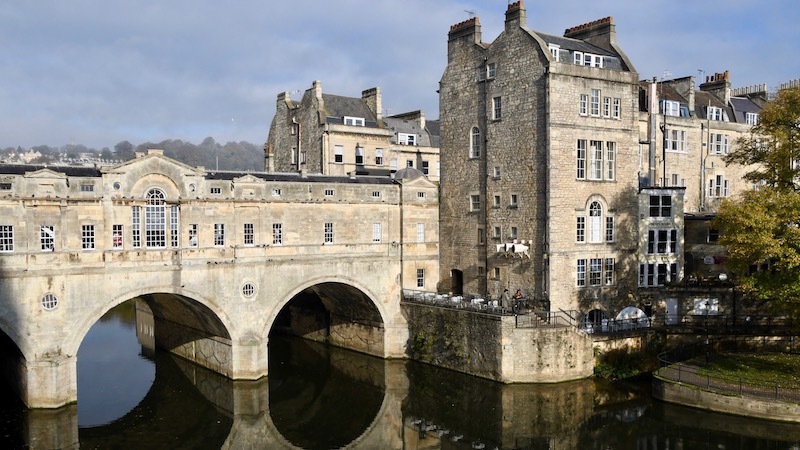 One of Bath's most iconic sites, the famous Pulteney bridge, straddles the river Avon and is a nice place to shop or have a bite to eat while taking in the view. Take a break from sightseeing and step into a delightful, quaint little teashop for a warm scone and a cup of tea. The scones are almost always baked in house, from a recipe handed down many generations (which will never ever be divulged to anyone!). We had cream tea at The Bath Bun, a charming, old world teashop steeped in history, with some of the best scones in town. 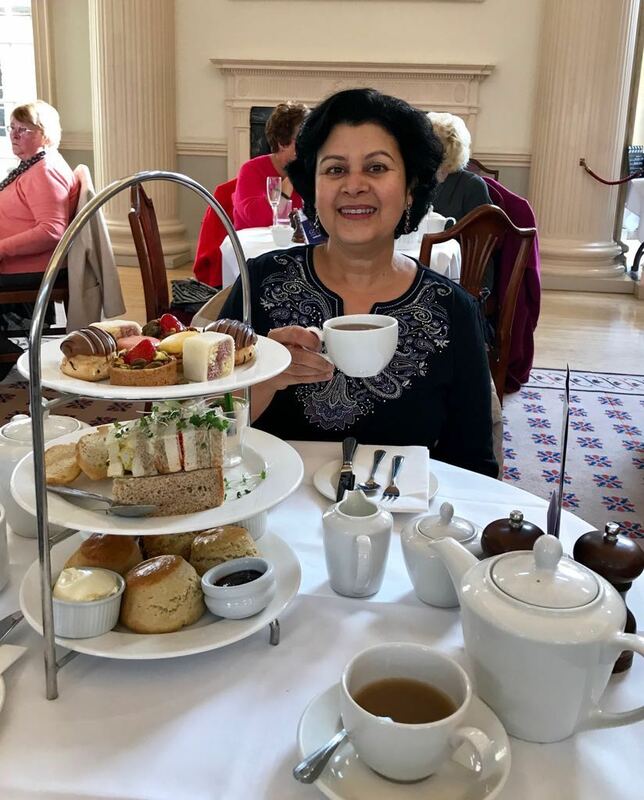 For a proper English tea with sandwiches, cakes, scones and even live classical music visit the elegant Pump Rooms, where they will provide you with all this and champagne too! Built in 1795, overlooking the Roman Baths, the Pump Rooms were the social hub of Bath's fashionable elite. They would gather here in the mornings to take the waters, to see and be seen. It is easy to imagine Jane Austen being a frequent visitor here! You too can have a taste of Bath's famous curative hot springs water right in the Pump Rooms. It is said to contain 43 minerals and an 'unusual taste'. We tried it and can tell you that the taste is definitely an acquired one! Cakey, crumbly scones are not difficult to make if you follow some key rules: don't over work or handle the dough too much, use chilled butter and make sure the height or thickness of your dough circle is about one and a half inches before cutting out the scones. Scones taste best the day they are made, so eat them right out of the oven, loaded with clotted cream and jam! For more of delicious British baking, try Sticky Toffee Pudding! Preheat oven to 400F. Line a baking tray with parchment. Combine 2 cups of flour, sugar, baking powder, baking soda and salt in mixing bowl. Pass through a fine sieve into another deep mixing bowl. Add butter and gently but quickly work it into the flour mixture, rubbing it in with your finger tips until it resembles coarse sand. Fold in the dried raisins or apricots. Combine milk, cream and egg in small bowl, beating gently to mix. Reserve 2 tbsp of this mixture in separate small bowl for later use in the recipe. Add remaining milk, cream and egg mixture to flour mixture, mixing it in gently. Knead lightly with your hands until mixture comes together in a sticky mass. Do not overwork the dough or knead it too much. Dust clean counter top or work surface with 2 tbsp all purpose flour and turn out dough onto it. Roll gently to coat dough, then shape it into a 1 1/2 (one and a half) inch thick circle, patting it gently to even it out. Using a 1 1/2 or 2 inch round cookie cutter, cut out scones from dough, placing them on parchment lined tray. Push straight down, don't twist the cookie cutter through the dough to avoid over handling. Reshape the dough gently and cut out more scones from it, placing on tray. If desired, cut wedge shaped scones instead of using a cookie cutter. Brush tops of scones with reserved milk, cream and egg mixture, then sprinkle evenly with turbinado or demerara sugar. Let scones rise for 30 min on counter top. Bake for 18-20 min or until they are risen, increased in size and tops are golden. Serve with clotted cream and strawberry jam. "When a man is tired of London, he is tired of life" said Samuel Johnson over three centuries ago, and that observation still rings true today. It was thirty years ago that my husband and I first visited London. Fresh out of India, this was our first glimpse of a wonderful city that we had only read about. For three magical days we explored every corner of London, walking till our feet hurt and sampling all the amazing food that was completely new to us. 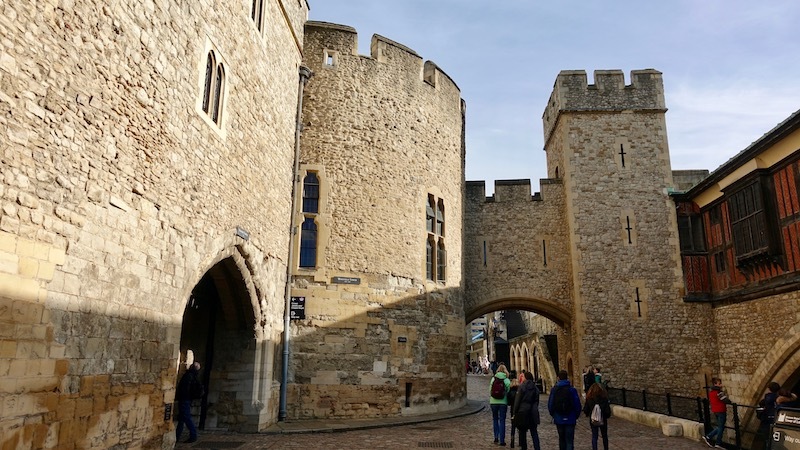 It was only recently that we got the chance to visit once more, and it was magic all over again as we explored and rediscovered all that London has to offer. London is a great city for walking, with its historical core being surprisingly compact. You can, in theory, cross it on foot in a few hours, but it usually takes longer in reality because there are always little surprises that grab your attention and make you linger. There is something in London for everyone, no matter what your interests may be. Every step that you take in London takes you past a site where history was created. 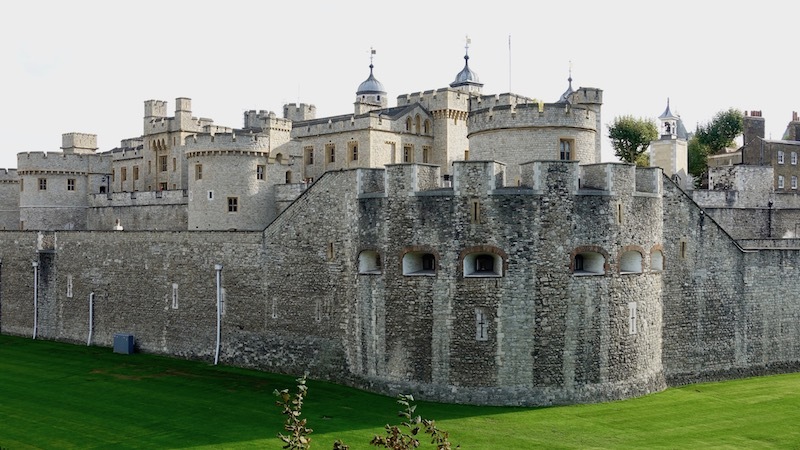 The Tower of London, Westminster Abbey, and the Houses of Parliament are places that seem familiar even to people who may have never visited London before, simply from having read about them. One of the greatest joys of being a tourist in London are the fabulous museums and galleries that you can visit free of cost. The British Museum and the National Gallery house some of the greatest treasures and works of art that the world has to offer. And when you have had your fill of looking at art, many of the churches offer musical recitals that are a delight to listen to. A tour of London is just not complete until you've walked through some of its lovely, sprawling parks. No matter which part of the city you happen to be in, there is sure to be a park nearby with large shady trees, a convenient bench or beautiful green lawns just inviting you to rest your feet and grab a picnic! 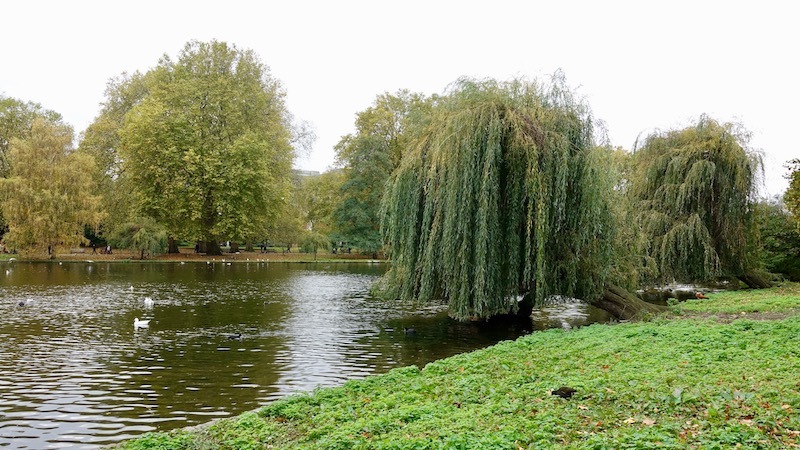 One of my favourites was St. James's park with its tranquil lakes and fountains, glorious flower beds, lots of interesting birds and fabulous views of the city from it's famous Blue Bridge. 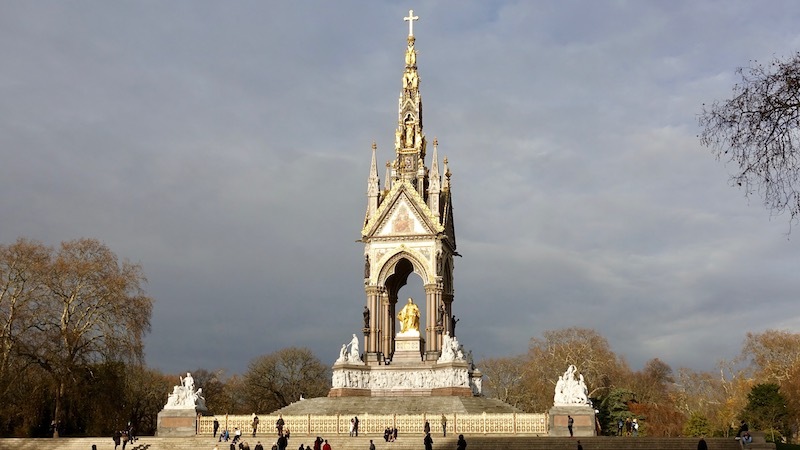 Hyde park, with its long walking trails, the Serpentine river running through it, Victoria and Albert Memorial at one end and the famous Speaker's Corner where protests and rallies still take place was another memorable park to visit. 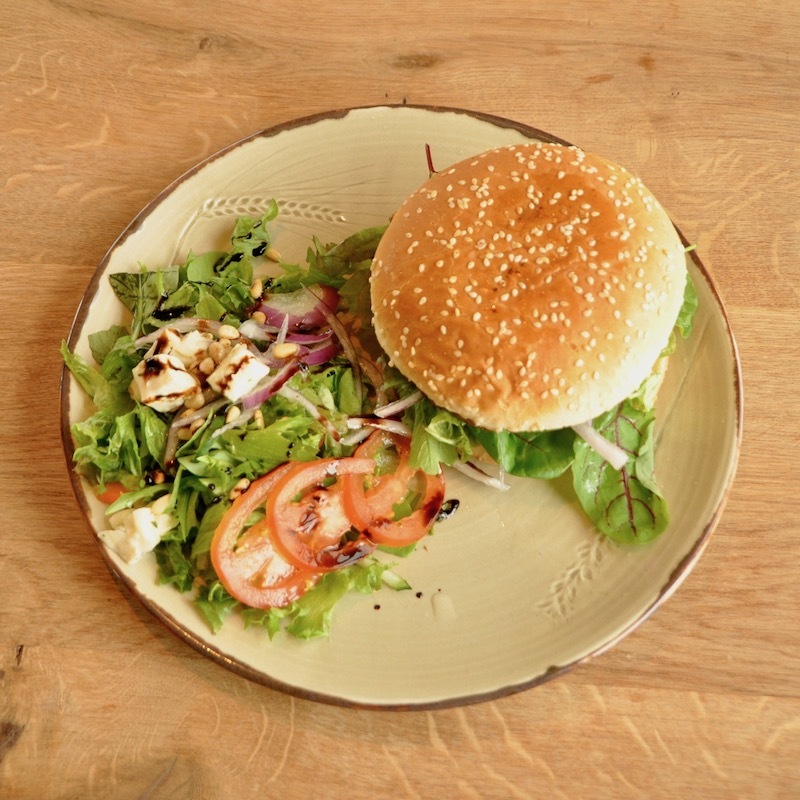 When it comes to eating out in London, you are going to be spoilt for choice! With restaurants serving every cuisine under the sun, you can have something different every day. Among the standouts we tried out were Veeraswamy for classic Indian, Hoppers for fantastic Sri Lankan, Berber & Q for smoky, grilled Middle Eastern fare, The Clerk And Well for incredible Asian dishes and practically every pub offering an amazing variety of meat pies, fish and chips and sausages. We first had this delicious chicken keema with its phenomenal mix of flavours and textures at the very popular Dishoom Bombay Cafe in London. 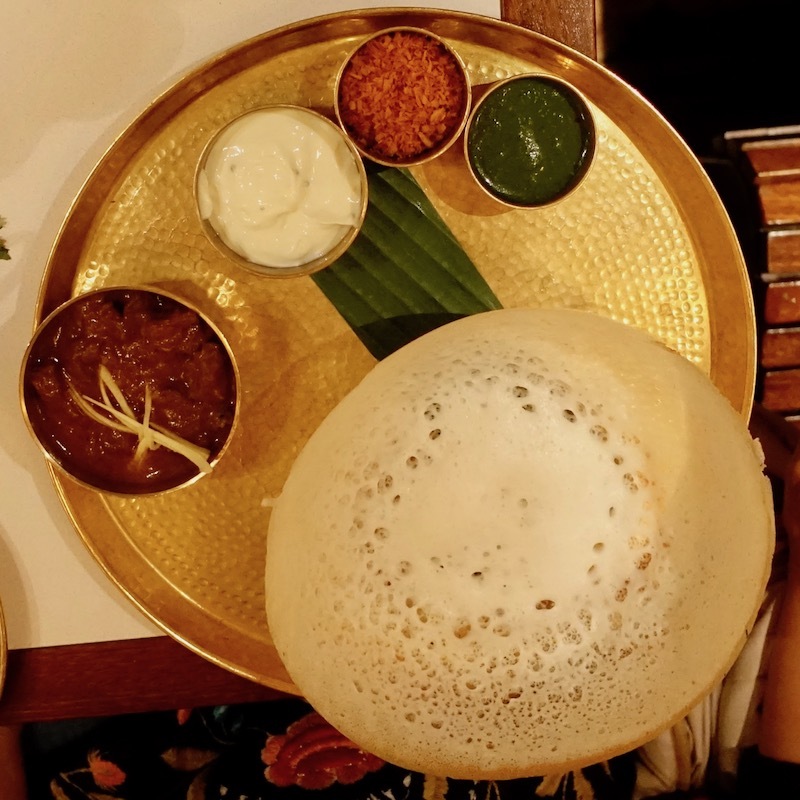 Head here for sunday brunch when they have a special menu reflecting typical Indian breakfast dishes, with creative British twists. 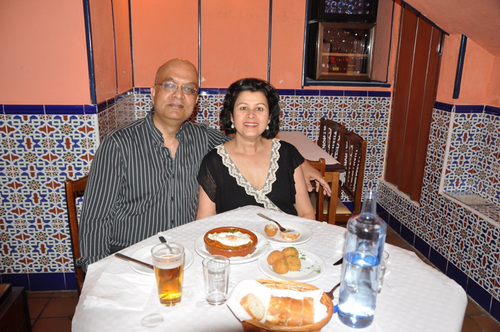 I still dream of their masala baked beans in tomato sauce with fresh coriander! I just love how the flavours of the soft gooey egg nestled in spicy chicken keema meld with the crunch of potato straws and crisp fresh coriander. The apricots add just a hint of delicate sweetness to the whole dish. You can buy potato straws from any supermarket or you can make your own spiralized ones in the oven. Whatever you do, don't skip them! Serve with warm naan or fresh dinner rolls. Warm oil in deep skillet over medium heat. Add onions, garlic and ginger. Saute for about 5-7 min until onions are softened and lightly browned. Add tomatoes, continue to cook for 5 min until tomatoes are incorporated into the sauce. Add salt and all the spices, cook 1 min. Add chicken and stir until it is blended into the sauce with no lumps remaining. Add the apricots and 1/2 cup of water. Mix well, cover skillet and bring to a gentle boil. Reduce heat to low and cook for 30 min, stirring occasionally. Uncover skillet and cook for a further 15 min until sauce is thickened and chicken cooked. If you want a thicker sauce, turn up the heat to medium to boil off some of the liquid. Fold in the fresh coriander and lemon juice to brighten up the flavours. Divide chicken keema evenly into 4 bowls. Top with a fried egg and scatter potato straws evenly over top. Reykjavik, the biggest city in Iceland is one of the most popular tourist destinations in the country. Despite having two thirds of the country's population residing here, Reykjavik manages to retain a quaint, small town charm. Reykjavik's founding is remarkably well documented, with the names and stories of the first Norse settlers who arrived here in the 9th century meticulously recorded. However, it was only in the 19th century, when it became Iceland's seat of government, that it began to outgrow its origins as a farming settlement and started to become a real town. Today Reykjavik has become one of the most visited cities in Europe, with millions of tourists arriving to experience the city's vibrant nightlife and see the stunning beauty of the sea and land surrounding it. The biggest landmark in the city, visible wherever you are, is the Hallgrímskirka church. From there you can walk through most of the compact old city, whose streets are still named for the old Norse gods: Thor, Odin, Loki and Freya. The heart of Reykjavik is centered around a pretty little lake surrounded by churches and buildings, which is a great place to watch birds that land on the water or to feed the ducks that make it their home. 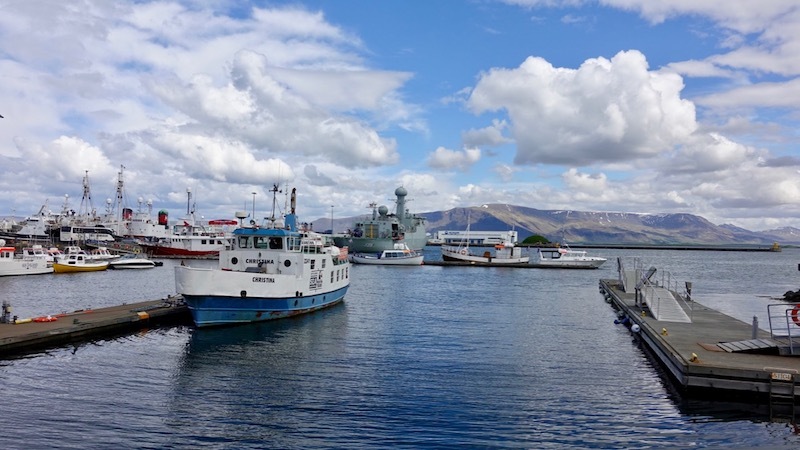 Reykjavik harbour, from which Viking ships set sail a thousand years ago on the raids that terrified all of Europe, is today a great place to stroll. The boats sailing out no longer carry fearsome warriors but rather tourists eager to see whales and puffins. 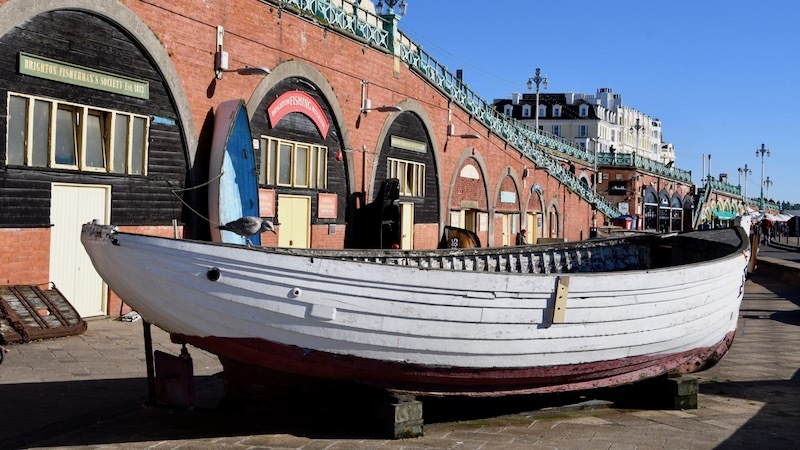 The old fishing sheds and boat repair shops have been converted into trendy cafes, craft breweries and boutiques, which are always thronging with tourists. Icelandic cuisine is all about local seafood, pasture raised lamb and dairy - especially Skyr, a type of thick, creamy, almost cheesy yogurt which, once tasted is utterly unforgettable and addictive! Icelandic chefs get wonderfully creative in cooking the incredible variety of seafood that abounds in the Arctic waters around. And with a slogan that proudly proclaims "Icelandic Lamb - roaming free since 878", you know it's going to be very good! Since the sheep nibble on grass and herbs all summer long, the meat is lean and uniquely flavoured. We ate buttery tender local lamb every chance we got, in Reykjavik restaurants, in hugely popular hot dogs, in burgers and our favourite - in smoked lamb sandwiches. Icelandic lamb soup is a very old and traditional dish, showcasing the best of cold weather cooking with simple ingredients. We happened upon it quite by chance at a small restaurant attached to a gas station in the middle of (seemingly) nowhere. The soup was warming and especially satisfying when eaten in front of a breathtaking view of mountains! The delicate flavour of herbs mingled with the sweetness of roasted root vegetables comes through in every spoonful of this simple, satisfying soup. Roasting intensifies the inherent sweetness of the vegetables but if you're in a hurry, you can skip that step. Serve with lots of crusty baguette to make a meal of it! Heat oven to 450F. Line a baking tray with parchment. Combine 2 tbsp oil, vegetable chunks, garlic and salt and pepper to taste in large mixing bowl. Spread in an even layer on baking tray. Bake for 30 min or until vegetables are lightly golden and almost tender. Reserve. Meanwhile, warm remaining 2 tbsp oil in deep saucepan over medium heat. Add onion, thyme and rosemary. Saute 5 min until slightly softened. Add lamb and brown for 5 min. Add broth and more salt and pepper to taste. Cover and bring to a gentle boil, skimming off the scum that rises to the top. Reduce heat to low and cook covered for 1 hour, stirring occasionally. Add reserved roasted vegetables, cover and cook again until they are very soft and lamb is very tender, about 1 hour or longer. Cool and remove meat from bones, discarding bones. Discard thyme and rosemary sprigs as well. If desired, refrigerate soup overnight and skim off all the fat from the top. Warm soup before serving and garnish with the fresh parsley. One of the greatest attractions of visiting Cologne is its magnificent Gothic cathedral. Its soaring spires can be seen from a great distance, long before you enter the city. Take the train in as we did, and you will be overwhelmed by the sheer size of this imposing cathedral as it towers right above the station! We marvelled at the beautiful filigree designs, intricate carvings and impressive main doors of the building as we made our way inside. Started in 1248, this cathedral is a World Heritage site and one of Germany's most visited places. 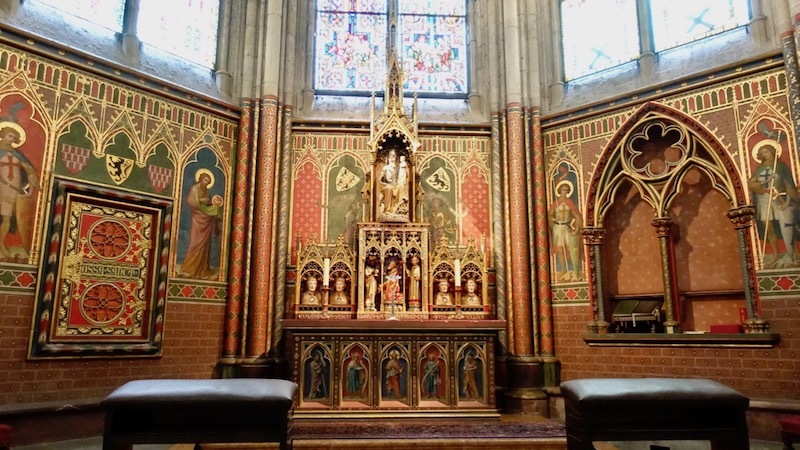 Inside, amongst its many treasures, is the reliquary of the Three Kings which is believed to hold the remains of the three wise men who bore gifts for the infant Jesus. 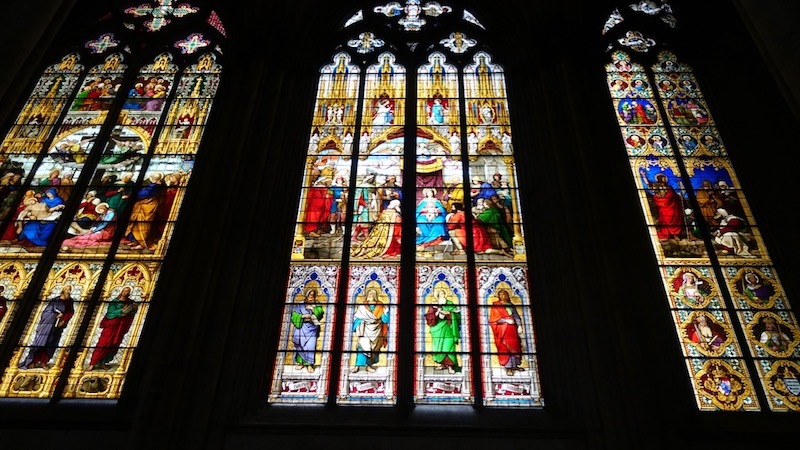 These holy relics made Cologne one of the greatest pilgrimage sites in medieval Europe and spread the fame of the cathedral across the continent. Cologne's magnificent cathedral is only one of the reasons people flock to this vibrant city. With museums to explore, a lively nightlife and lots of restaurants, bars and cafes, there is never a dull moment here! We loved exploring the Altstadt or old town, with it's atmospheric medieval streets, historic buildings and boisterous beer halls. Try and visit on a weekend when It gets especially fun and lively! 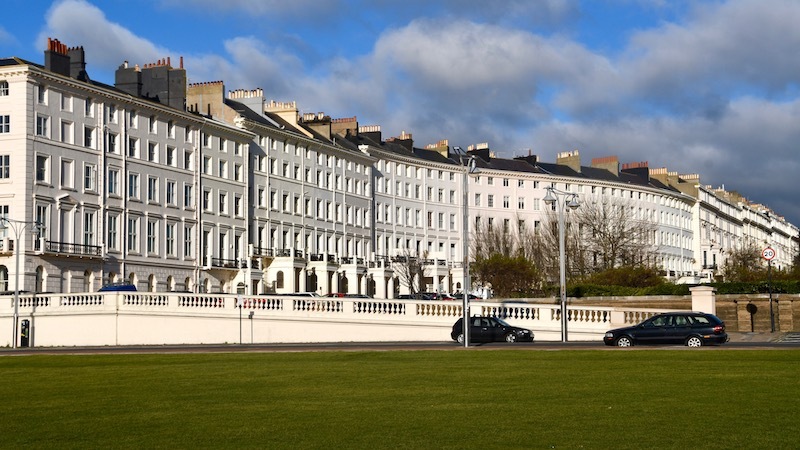 A stroll along the bustling waterfront, lined with picturesque old buildings and parks, thrumming with street musicians and artists is a fun way to spend an afternoon or evening. Here you can people watch to your heart's content while sipping on something restorative and see ships glide by on the nearby Rhine river. We had a delicious bowl of goulash soup here one crisp afternoon during our recent visit. Goulash soup, with it's warming, comforting flavours is perfect for colder weather. In Germany, it can vary from being thick and almost stew-like to a thinner, soupier version. However you choose to make it, make sure to serve some crusty bread on the side! The smoky notes from the bacon, roasted pepper, toasted caraway and smoked paprika, along with the red wine add depth and richness to this hearty stew-like soup. Serve with a dollop of sour cream for extra richness! Warm oil in deep saucepan over medium heat. Add onions, garlic, thyme, bacon, carrot, celery, potato and sweet pepper. Saute for 10 min until bacon has rendered its fat and vegetables are softened. Add beef cubes and brown for 5 min. Add flour, stirring to incorporate, about 30 sec. Add red wine and deglaze the pan, scraping up all the brown bits sticking to the bottom of the pan. Add broth, tomatoes, salt and pepper as well as all the spices and sugar. Bring to a gentle simmer, then cover and cook on low heat for 2 1/2 hours, stirring occasionally. The vegetables should be practically disintegrating into the soup and the meat should be fork tender at this point. If soup is too thin, uncover, increase heat to medium and boil off some of the extra broth. Remove thyme sprig. Mix in the vinegar and fresh parsley and serve.